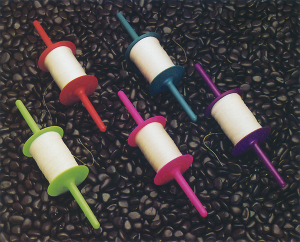 Our Spinner ™ spools are our most popular spool for single-line flying. They’re functional, durable, colorful, economical and kids love them. What more could you want? We mold these spools out of high-impact polystyrene and though colors vary, we generally stock red, yellow, blue and green. These spools are best suited for 20 to 50 lb./test line though we sometimes wind them with 80 lb. line. Usually sold with twisted line, 500 or 1000 ft. lengths. 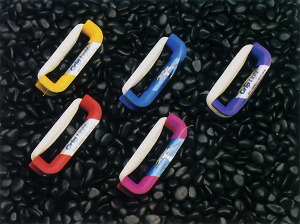 Our Grip Light ™ handles are functional, sturdy and economically priced. Their easy-to-hold design and compact size make them great for small hands or for easy packing. Slide one into your shirt pocket or a small kite bag and you’re ready to go. The Grip Light handles are typically wound with 100 to 300 feet of 20 to 50 lb./test line.